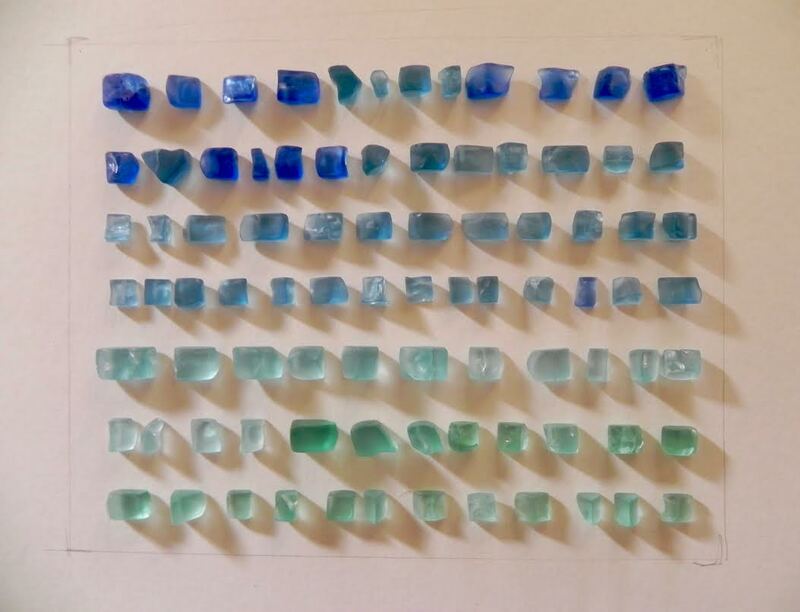 My girlfriend Karen found a salesmen's sample kit of fireplace glass at a local thrift shop and shared it with me not really knowing what she was going to do with it. 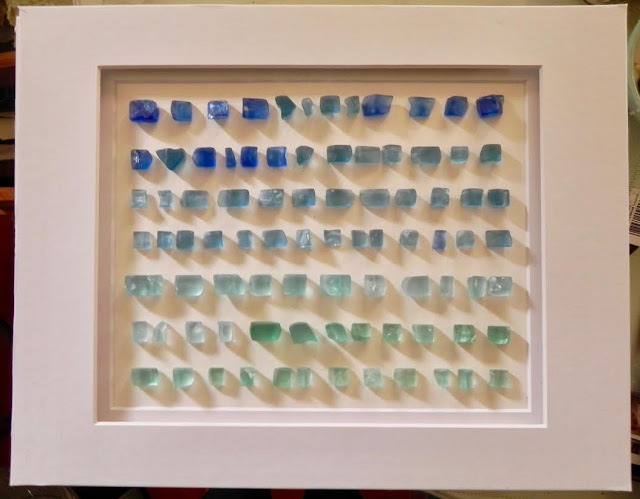 It's difficult to explain how my imagination works but she gifted me with whatever colors I wanted and I chose varying shades of blues not certain at the time what I was going to create with the bits of jagged glass bits. Here is the finished artwork created with them. I purchased with a white shadow box frame. and let dry overnight before putting the frame together. 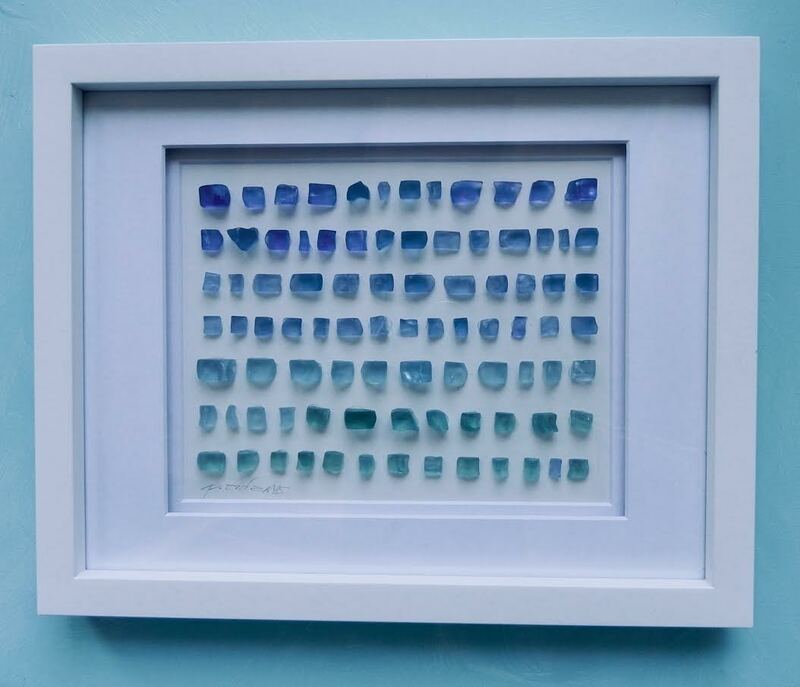 I'm pleased with how it came out and love that it resembles the sea! 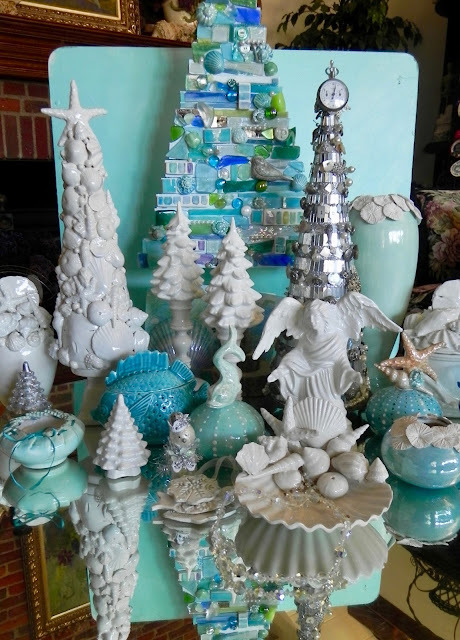 My latest clay creation completed just in time to decorate with. on my cocktail table to add a little holiday cheer! just out of firing showing it with the stand I made to accompany it. Merry everything and happy always!